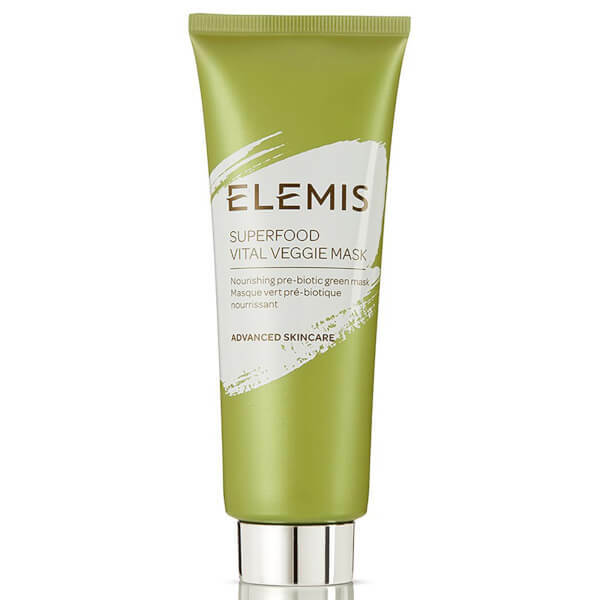 Infusing dull, lack-lustre skin with a shot of green goodness, the ELEMIS Superfood Vital Veggie Mask nourishes, hydrates and brightens in just 10 minutes. Packed with a host of beneficial ingredients, including nutrient-dense Supergreens, radiance-enhancing Passionfruit Acid and a naturally sugar derived Pre-Biotic, the green-coloured, smoothie-inspired treatment effectively buffs away dead skin and impurities to reveal a smoother, more refined texture. 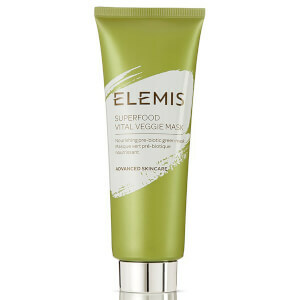 Wheatgrass, Kale and Nettle Extracts work in tandem to promote a luminous, glowing complexion. 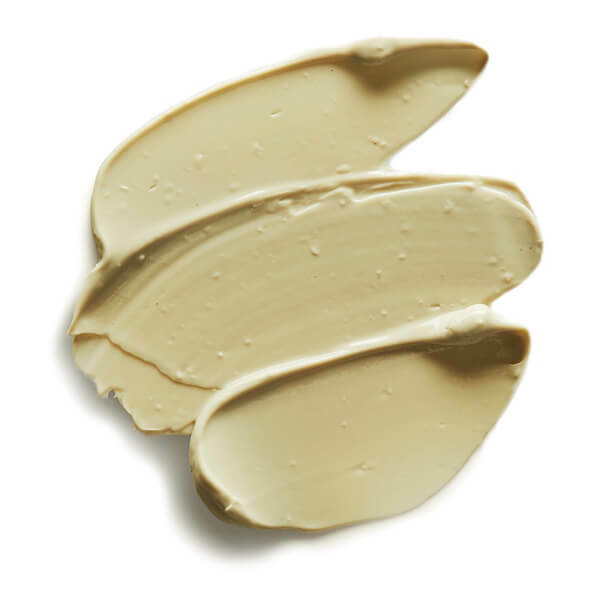 Apply a generous amount to the face and neck on cleansed, dry skin. A slight tingling may occur while the mask works its magic. Remove after 10 minutes with a damp, dark cloth. Aloe Barbadensis Leaf Juice, Kaolin, Aqua/Water/Eau, Glycerin, C12-15 Alkyl Benzoate, Stearic Acid, Cetearyl Alcohol, Butylene Glycol, Cetearyl Olivate, Sorbitan Olivate, Glyceryl Stearate, Hydroxyethyl Acrylate/Sodium Acryloyldimethyl Taurate Copolymer, Hydroxyacetophenone, Illite, Phenoxyethanol, Salvia Hispanica (Chia) Seed Oil, Xanthan Gum, Disodium EDTA, Ananas Sativus (Pineapple) Fruit Extract, Vitis Vinifera (Grape) Fruit Extract, Fragrance (Parfum), Alcohol Denat., Alpha-Glucan Oligosaccharide, Brassica Oleracea Italica (Broccoli) Seed Oil, Cucurbita Pepo (Pumpkin) Seed Oil, Persea Gratissima (Avocado) Oil, Limonene, Tocopherol, Citrus Aurantium Dulcis (Orange) Peel Oil, Caramel, Polysorbate 60, Sorbitan Isostearate, Maltodextrin, Amyris Balsamifera Bark Oil, Urtica Dioica (Nettle) Juice, Cymbopogon Martini Oil, Passiflora Edulis (Passion Fruit) Fruit Extract, Helianthus Annuus (Sunflower) Seed Oil, Geraniol, Linalool, Rosmarinus Officinalis (Rosemary) Leaf Oil, Daucus Carota Sativa (Carrot) Seed Oil, Brassica Oleracea Acephala (Kale) Leaf Extract, Triticum Aestivum (Wheat) Leaf Extract, Chlorophyllin-Copper Complex, Polyglyceryl-3 Diisostearate, Ethyl Ascorbic Acid, Lecithin, Benzyl Benzoate, Potassium Sorbate, Sodium Benzoate, Sodium Hydroxide, Benzyl Alcohol, Phyllanthus Emblica (Amla) Fruit Extract, Ascorbic Acid, Lonicera Caprifolium (Honeysuckle) Flower Extract, Lonicera Japonica (Honeysuckle) Flower Extract, Benzoic Acid, Dehydroacetic Acid, Sodium Bisulfite.